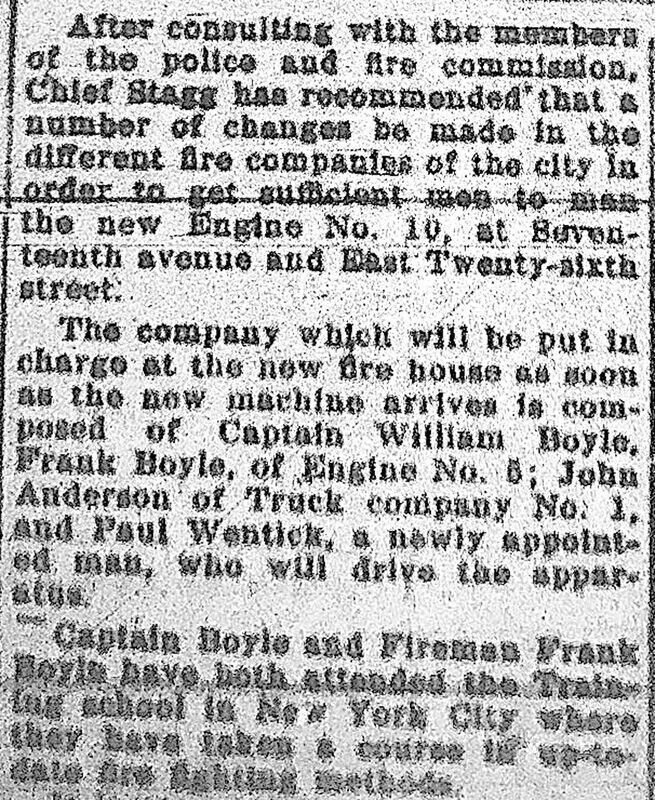 October 21, 1910: Once the apparatus arrives, the new Engine 10 company will consist of Captain William Boyle, Frank Boyle form Engine 5, John Anderson of Truck 1, and new appointment Pau Wentick who will drive. 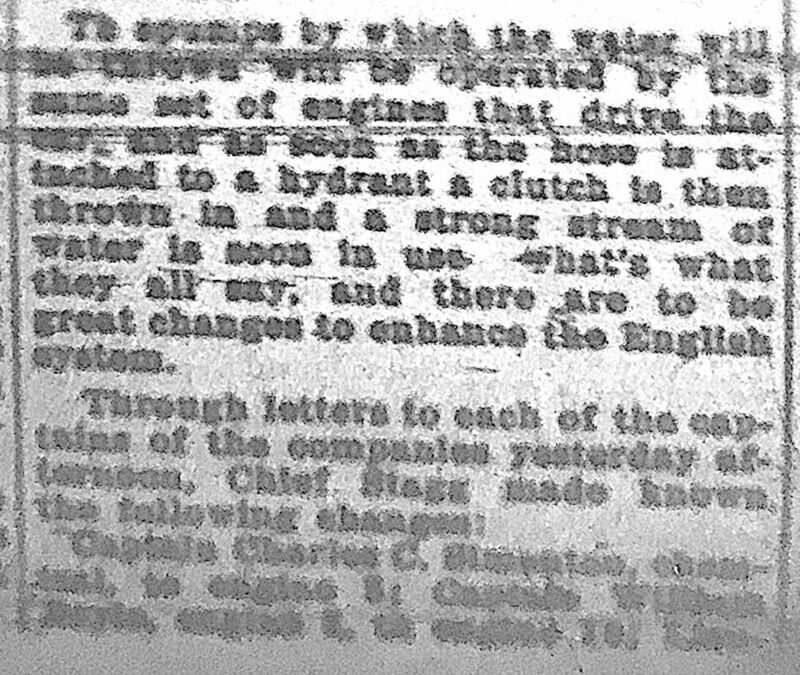 The "English Way" of firefighting to go into effect. 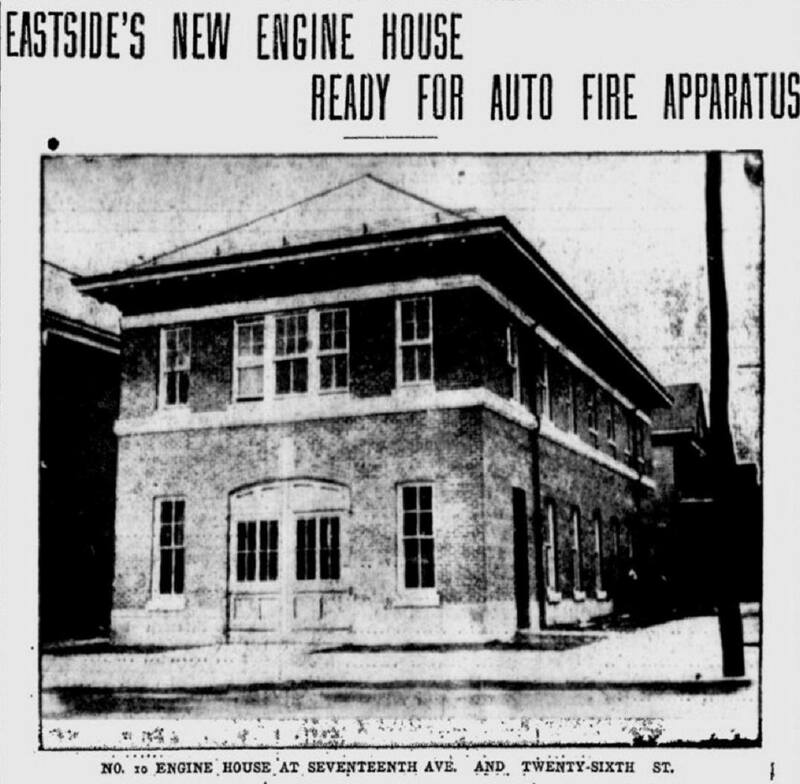 At one point, (exact date ?) 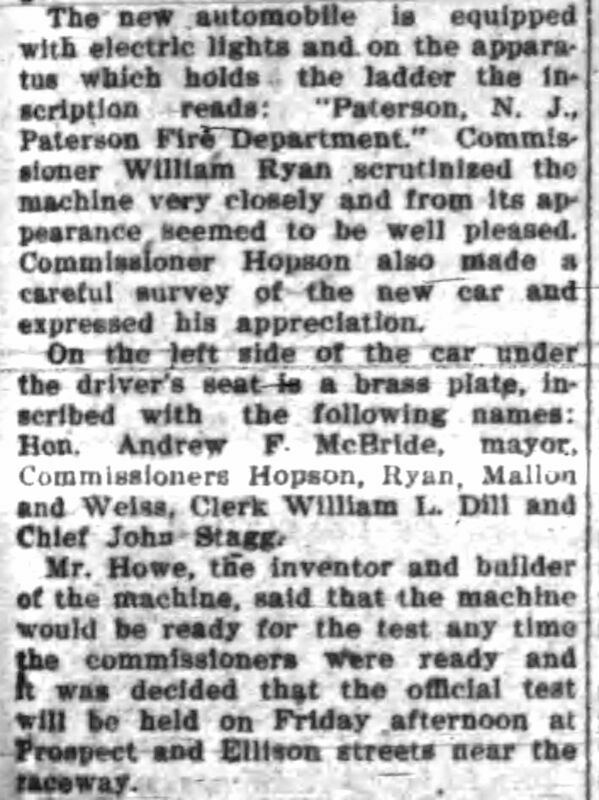 each Paterson company was assigned its own unique color scheme: specific colored stripes would be on every piece of equipment. 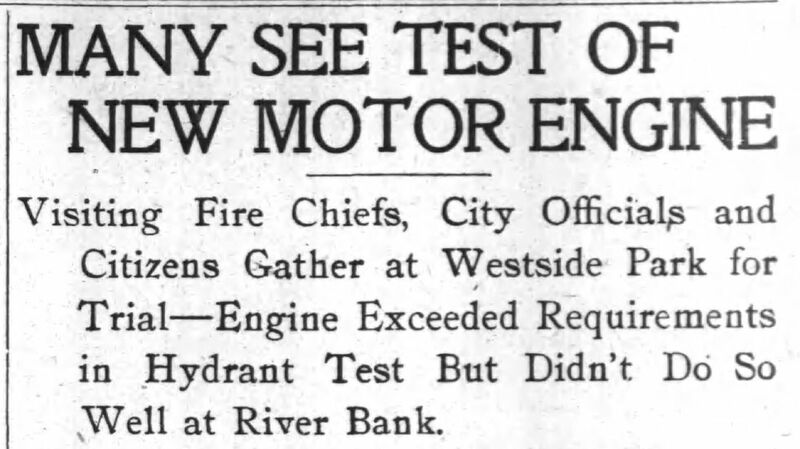 Engine 10 colors were red and white. 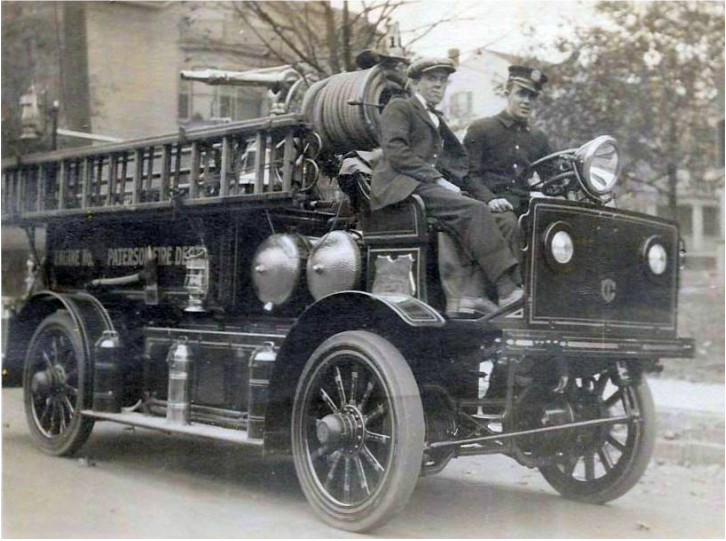 October 25, 1910: Howe Automobile Combination Fire Engine (built in Indianapolis, IN), 750 GPM (Model AP-N) which was the first motorized (gasoline powered) apparatus used by the Paterson Fire Department. 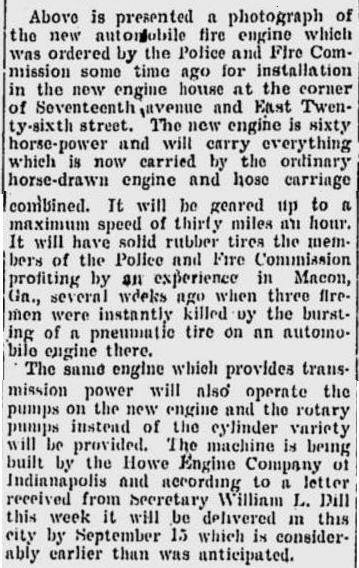 ​It was six-cylinder engine with 75 horse power. 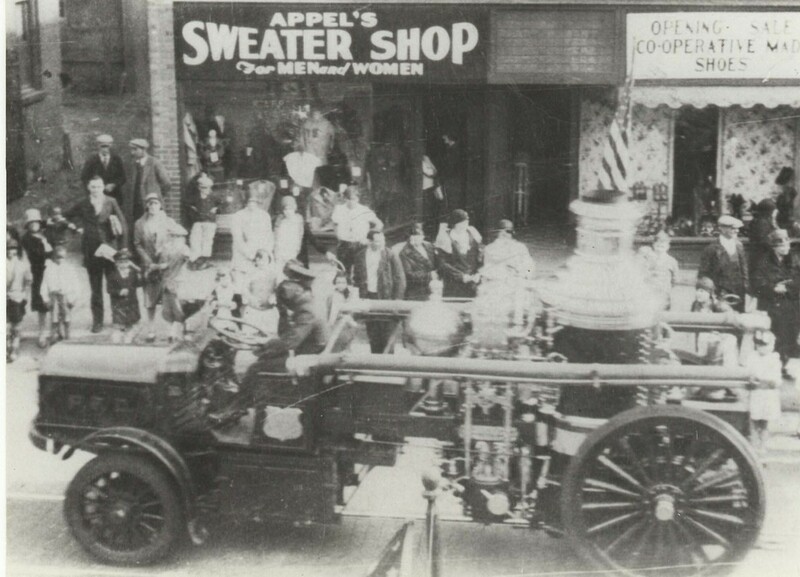 Notice on the rack holding the ladders, in the front has letters: Paterson No. 10 at top and bottom (over grill). 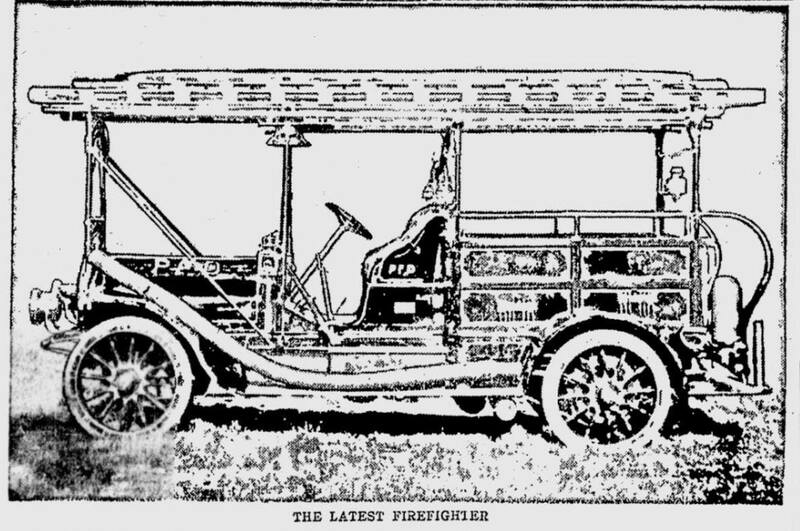 Also there were torches on the sides of the ladder rack, a throwback to earlier apparatus. 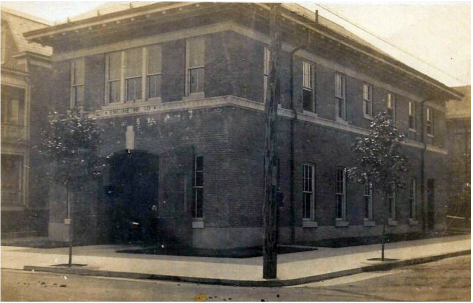 In the photo below at the Firehouse: On rear step: ? 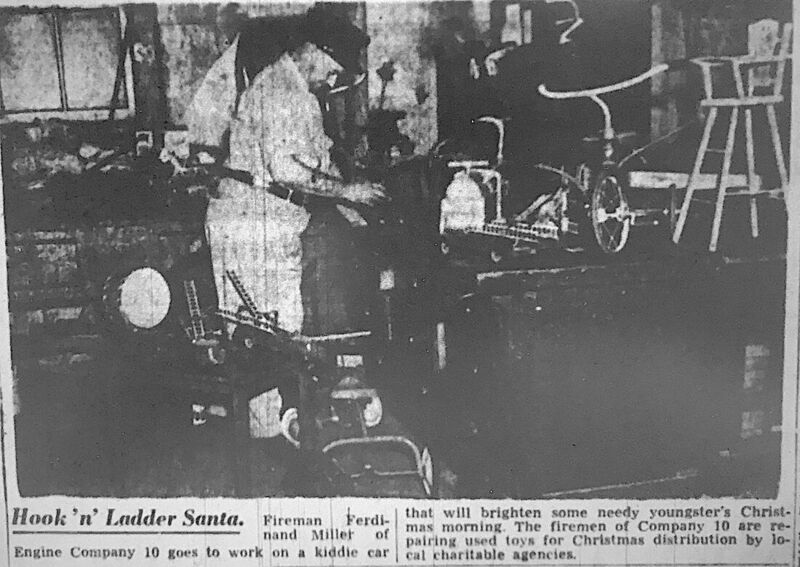 and Jack Anderson. 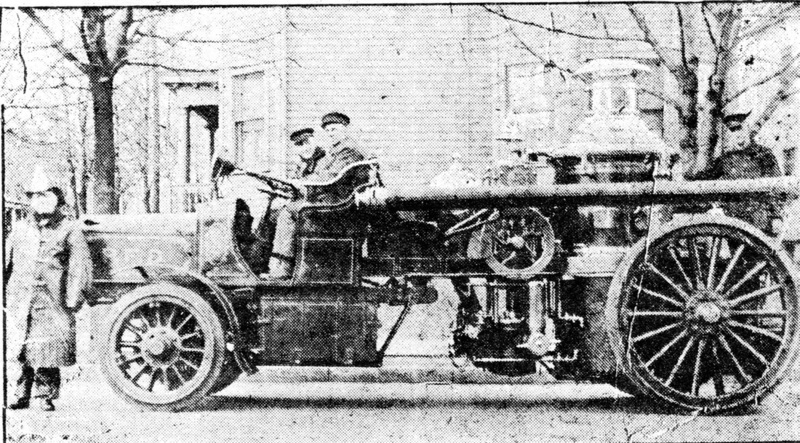 On side: Lieutenant Thomas Coyle, Driver Paul Wentick and Captain William Boyle. 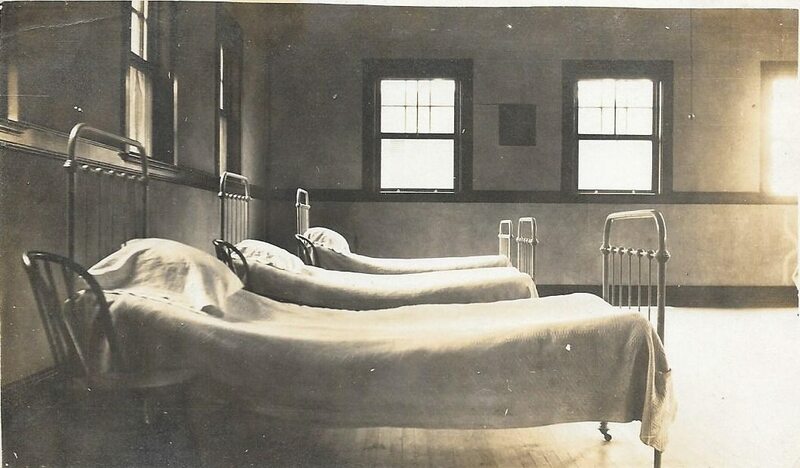 On other side John Bierne and ? at crank. 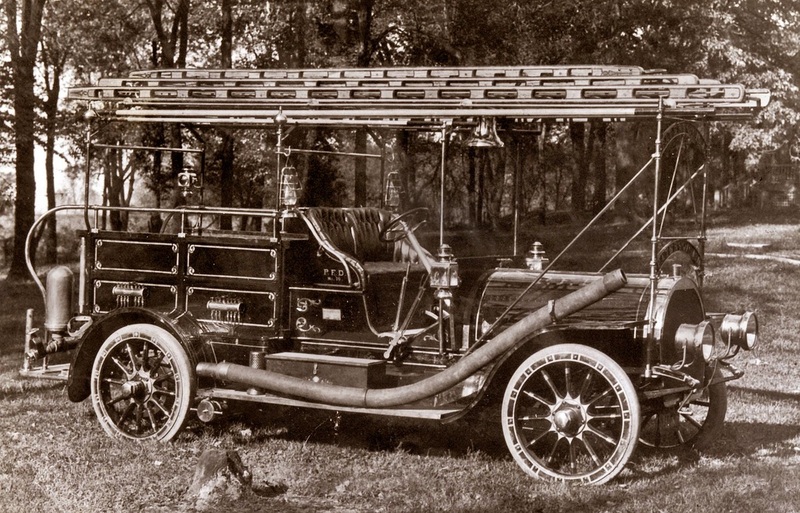 Note that the ladders were moved from the "roof rack" to the sides of the hose bed. 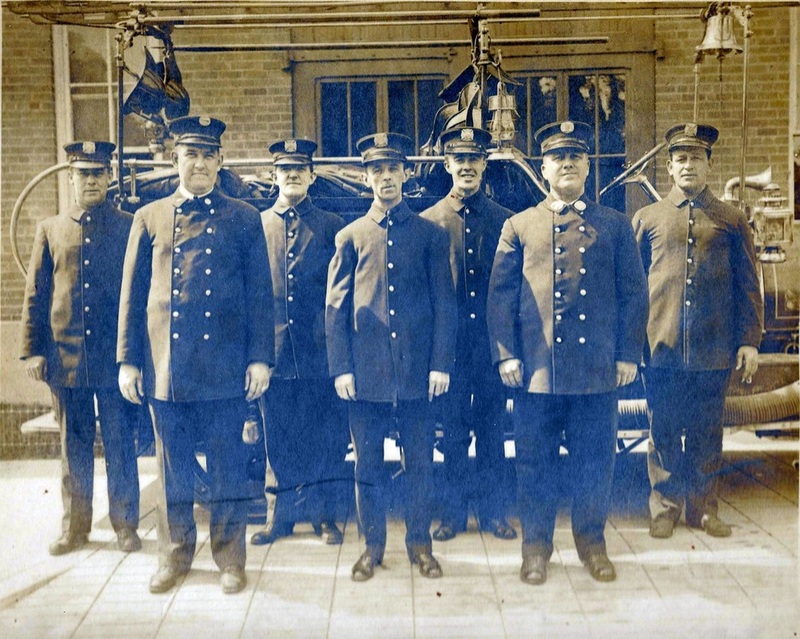 September 4, 1912: Apparatus out of service since a July 4th "accident"
Left to right: Front row - Captain Thomas Bush, Peter Howden, Lieutenant William Bloom. 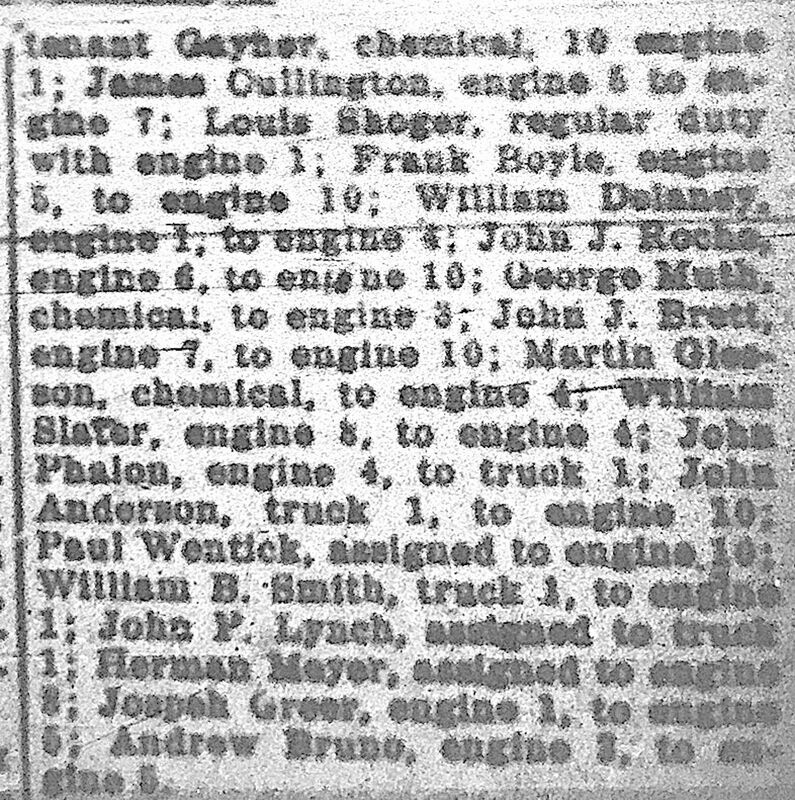 Second row: Joseph Greer, James Smith, Joseph Murphy and John Brett. 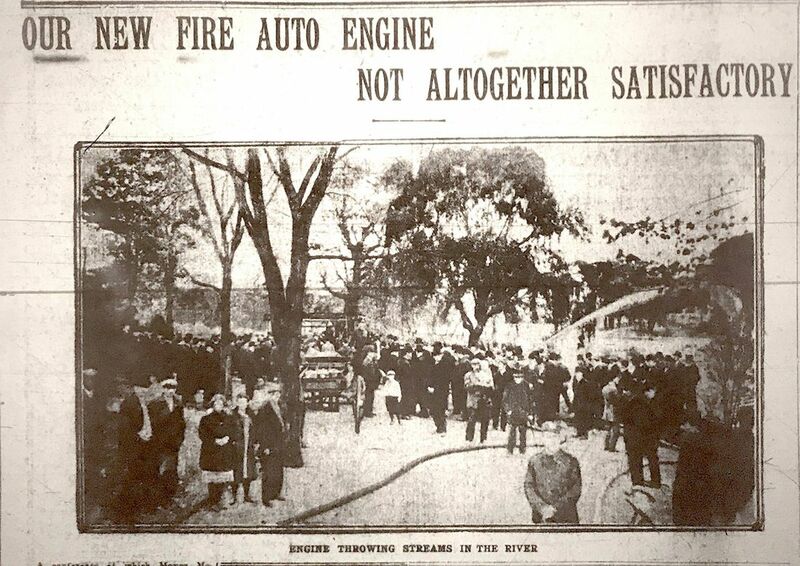 Motorized Howe apparatus in background. 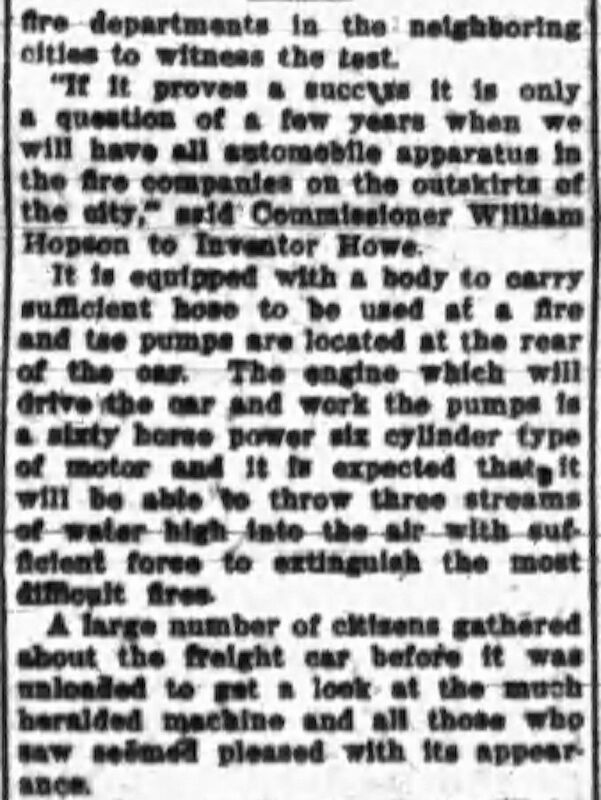 December 19, 1917: Commercial Truck Company Electric Drive Combination Hose and Chemical Wagon (Serial #7100) enters service. 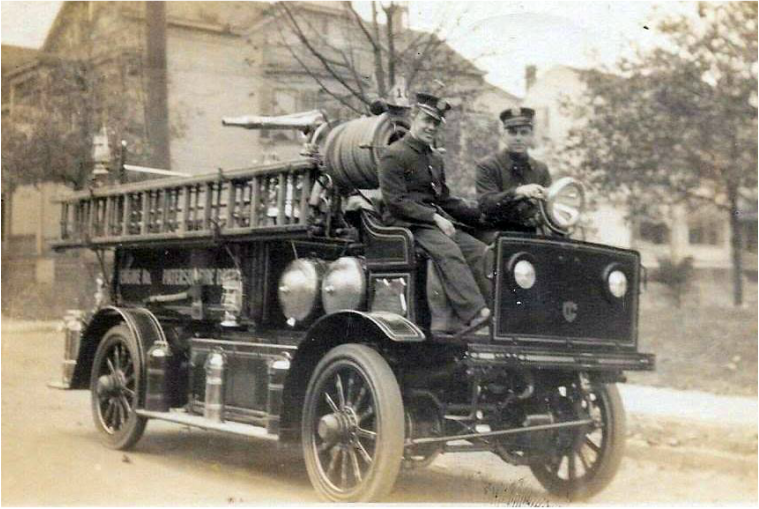 The company also received a new Metropolitan Steam Fire Engine with a Commercial Truck Company Electric Drive (battery powered) tractor. 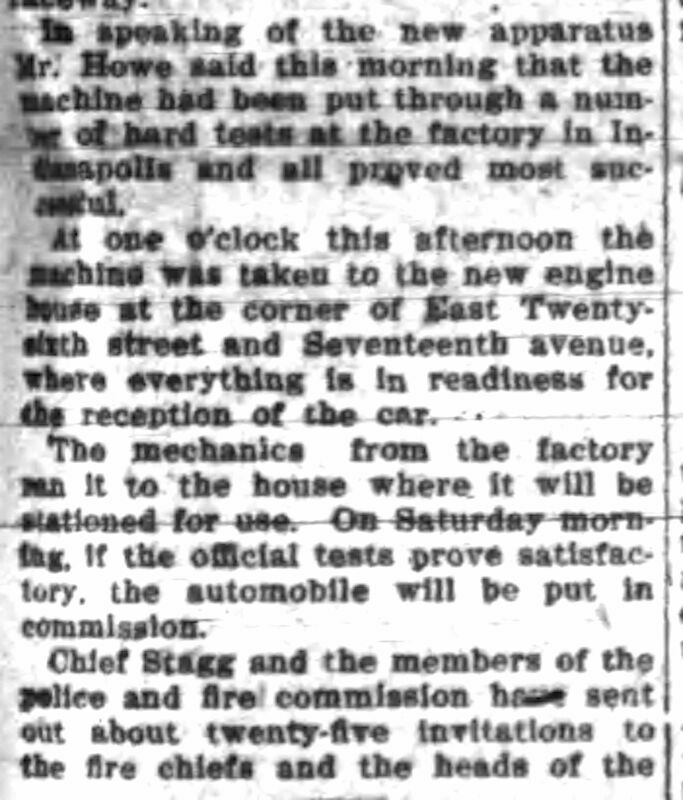 Emblem on front is Commercial Truck Company of Philadelphia"
January 7 1931: Engine 10 received a 1913 First Size Continental Steam Fire Engine formerly used by Engine Company 3 (which initially had a Christie Front Drive tractor and then reconverted to horse drawn after an accident in 1915). 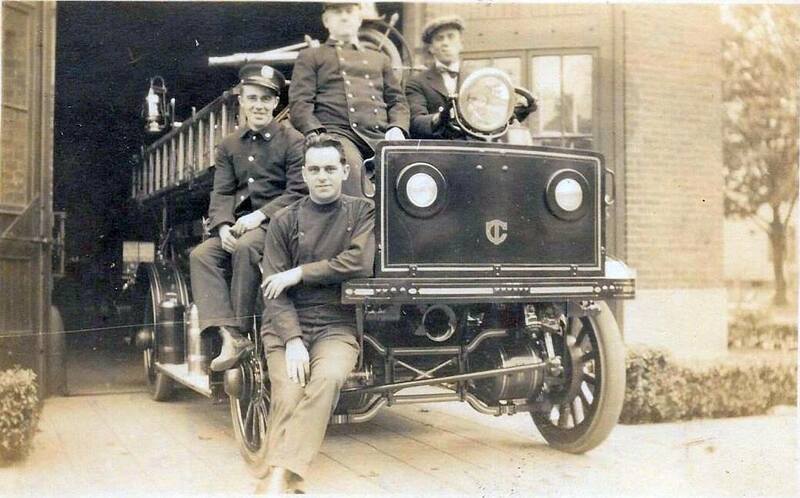 Ultimately it received a Commercial Truck Company Electric Tractor in 1917 (Serial #7091). 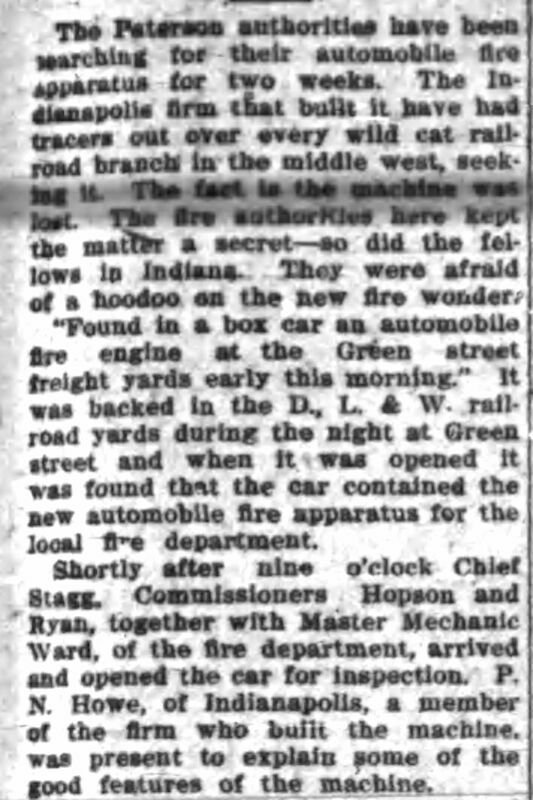 ​Its use at Engine 10 was short lived due to an accident (see below) and by acquisition of a new Ahrens Fox pumper in July 1931. 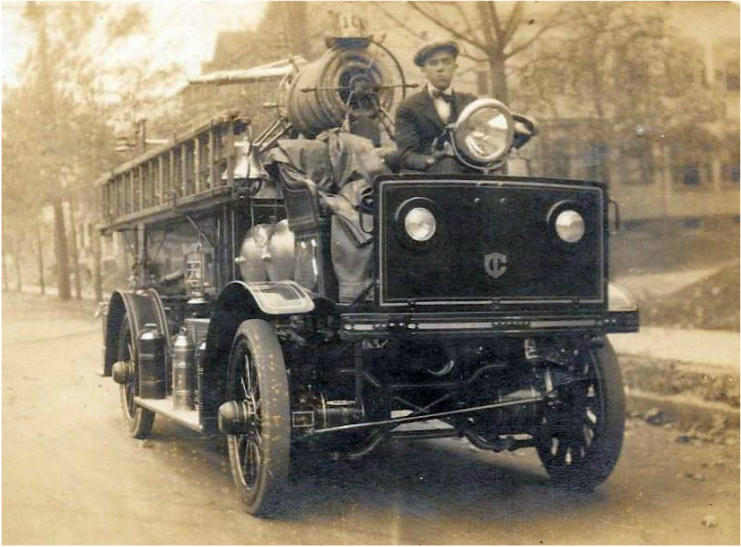 This is the last steam fire engine that saw service in Paterson. 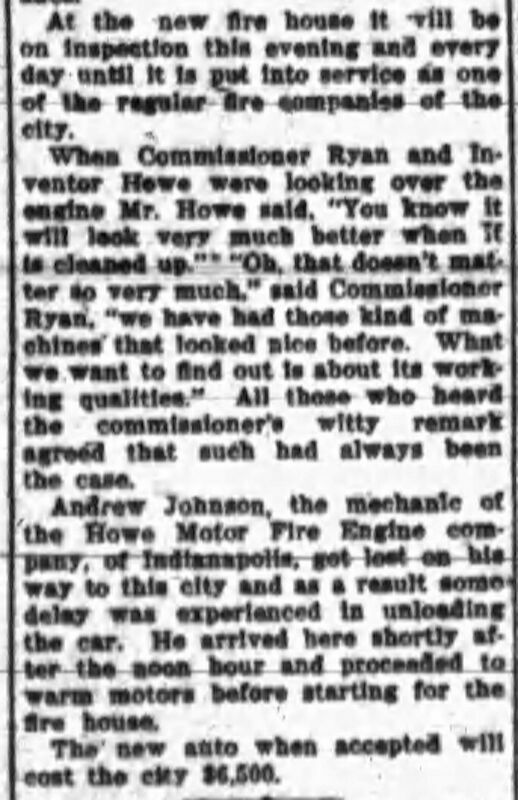 January 7, 1931: As mentioned, just after being acquired Engine 10's Steamer crashed into a pole at 4:45 PM at Park Avenue and east 26th Street. 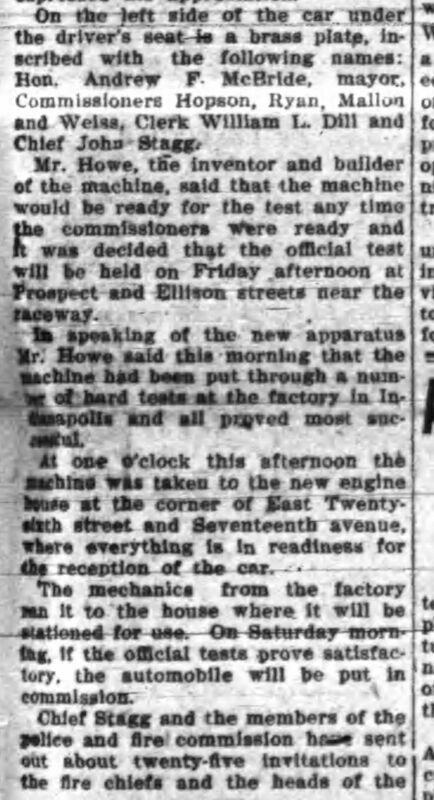 The accident happened when E10 driver Edward Haycock swerved to avoid a collision with a taxicab. 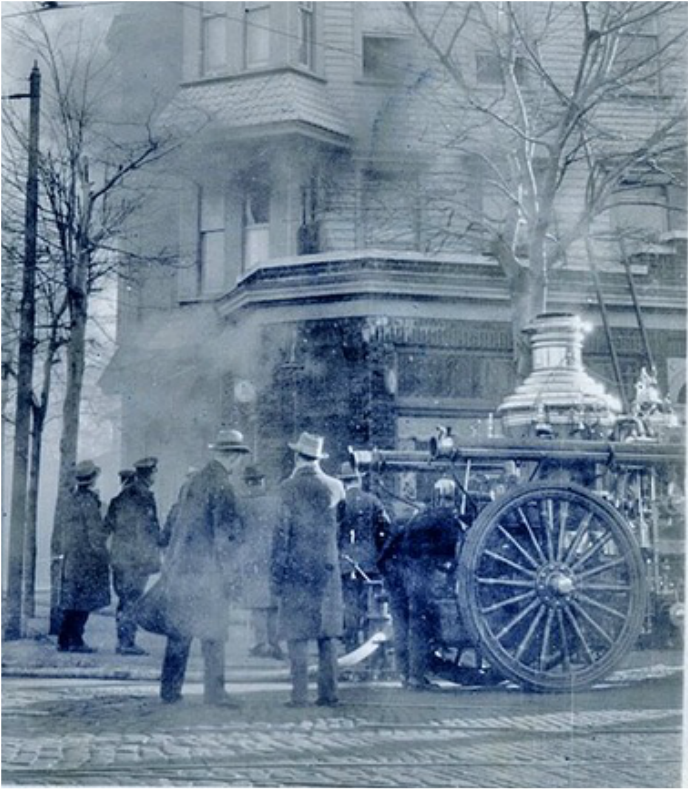 The front of the apparatus was smashed and fireman Andrew Green was hurled from the rear of the steamer. 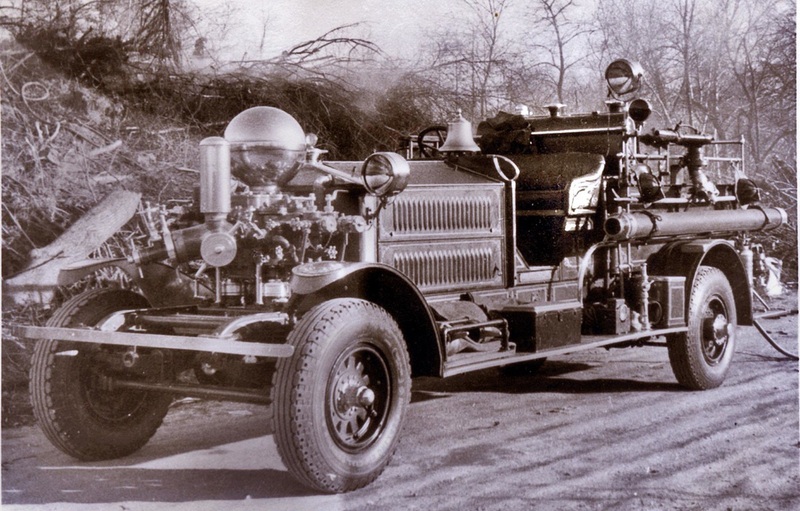 July 16, 1931: 1931 Ahrens Fox Model N-T-4 1000 GPM pumper (Serial #3401), shown below later in its career when it was assigned to Engine Company 3. 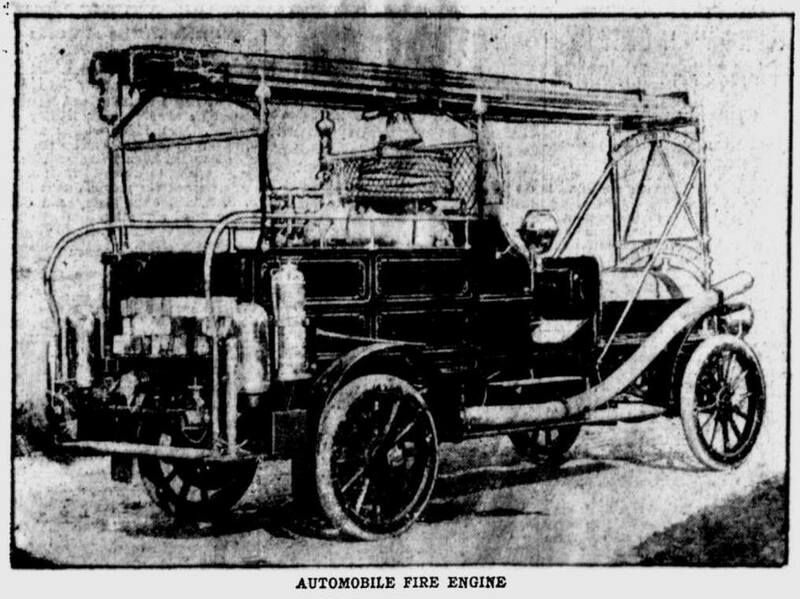 For a thorough discussion of this apparatus see Ahrens Fox page. 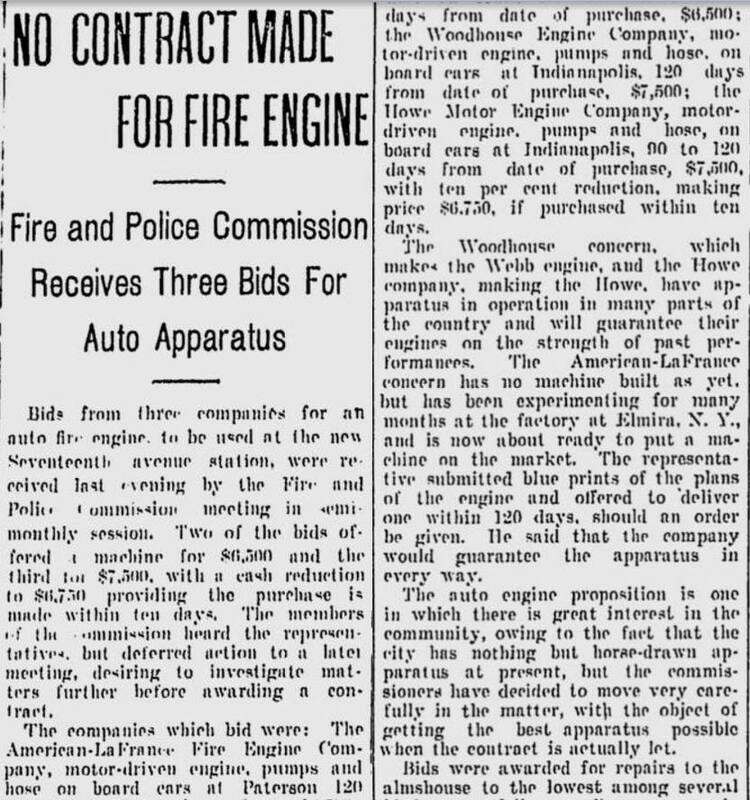 1937: 1926 Ahrens Fox N-S-4 1000 GPM pumper (Serial #1668) formerly used by Engine Company 5 (note single front bumper). E 10 Fox pparatus now with deluge gun. 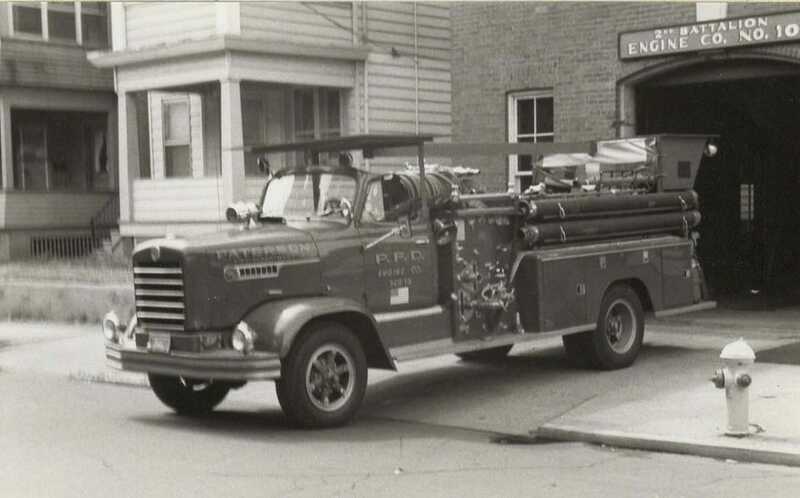 March 1953: A new 1953 Seagrave 750 GPM pumper (Serial G3795) Model 400B entered service. 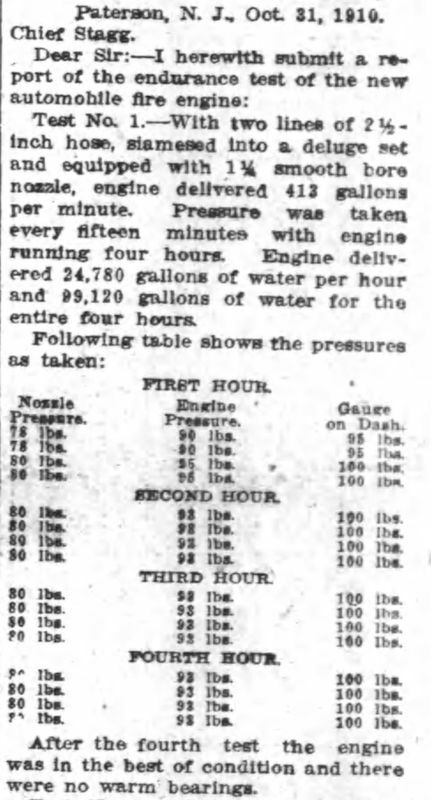 It had a 150 gallon booster tank. 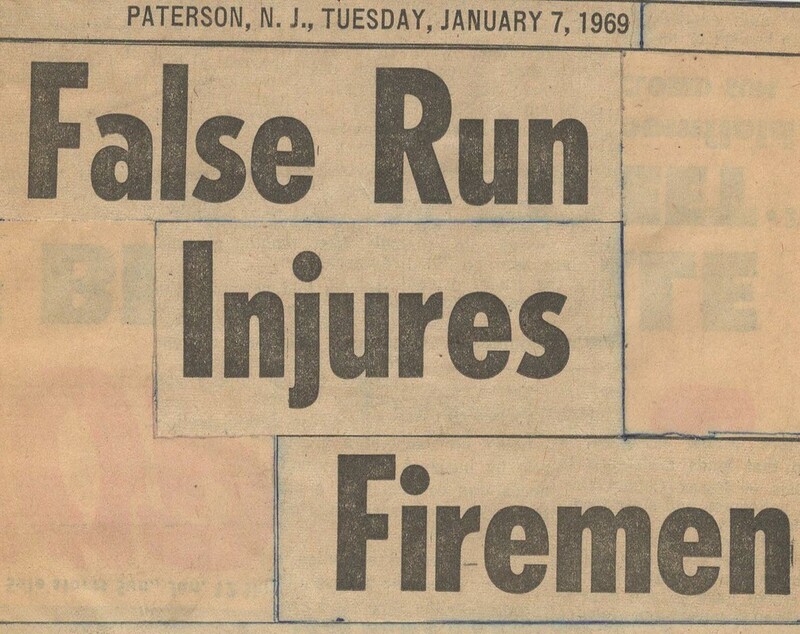 It was in received in Paterson (with 5 others) on February 5, 1953. 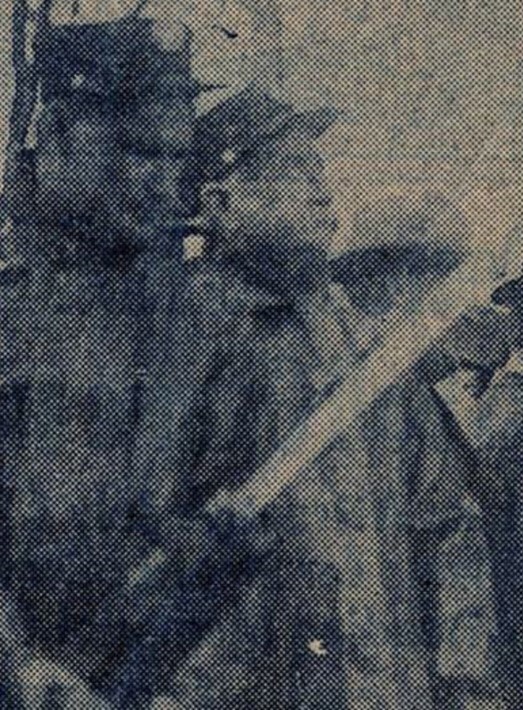 The cost was $15,754 (1/2 of the cost paid by Civil defense). Had a 150 gallon booster tank. 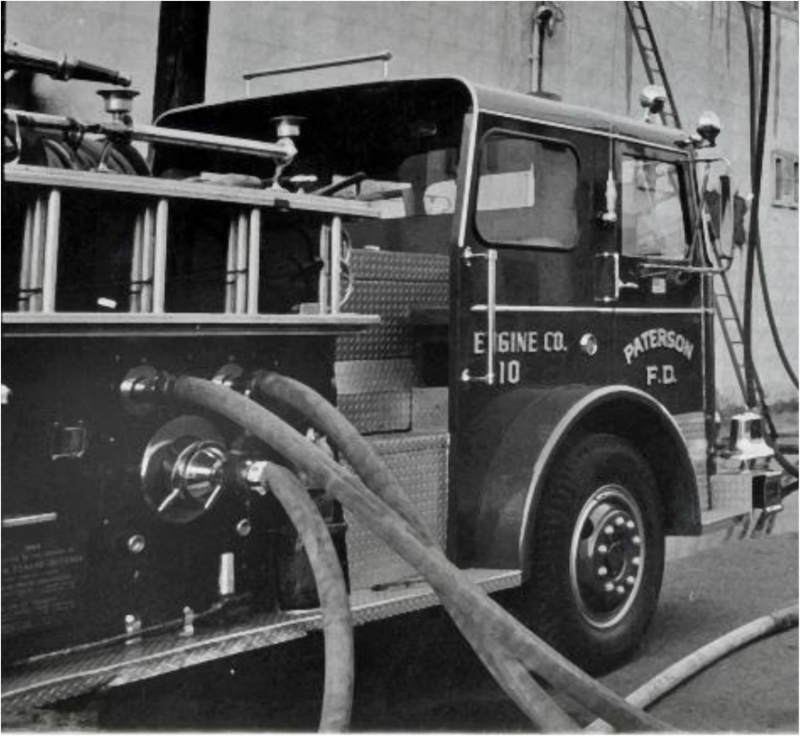 September 4, 1953: ENGINE COMPANY 10 - From the Morning Call Series of PFD Companies. 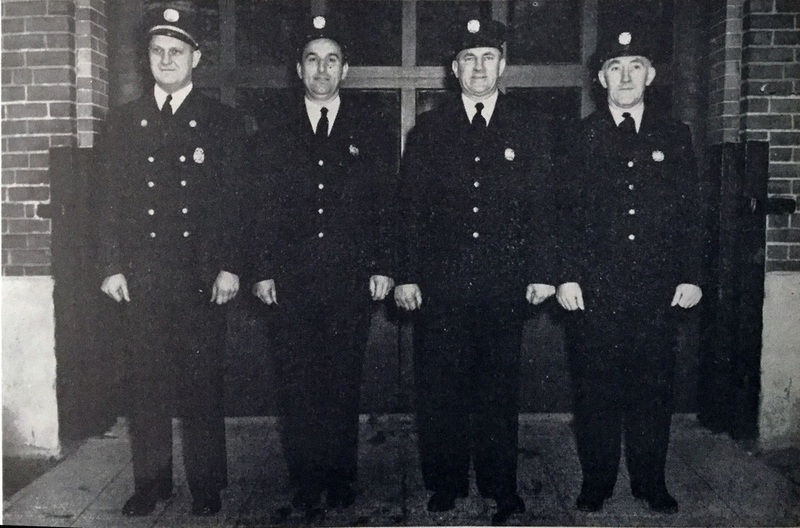 Back row L-R: Ernest Wildermuth, Willbert Mariani, David Pickels, Captain Joseph Semas, Harold LaRue. 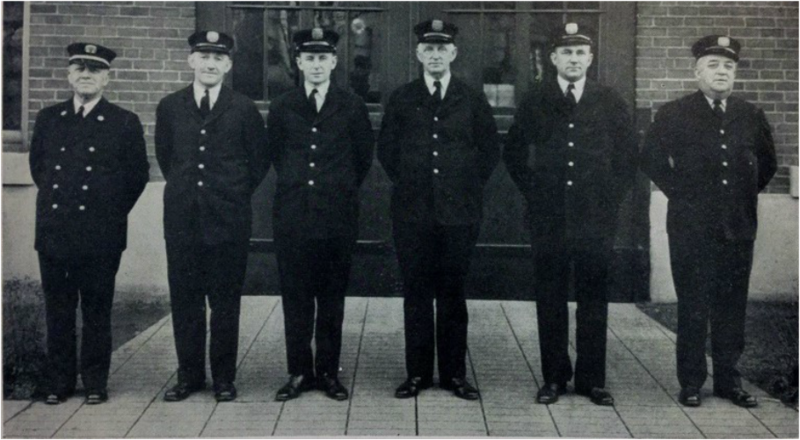 Front row L-R: Ferd Miller, Jim Durkin, Eugene Mariani, Aldolph P Guzik and Captain Gerard Dugan. 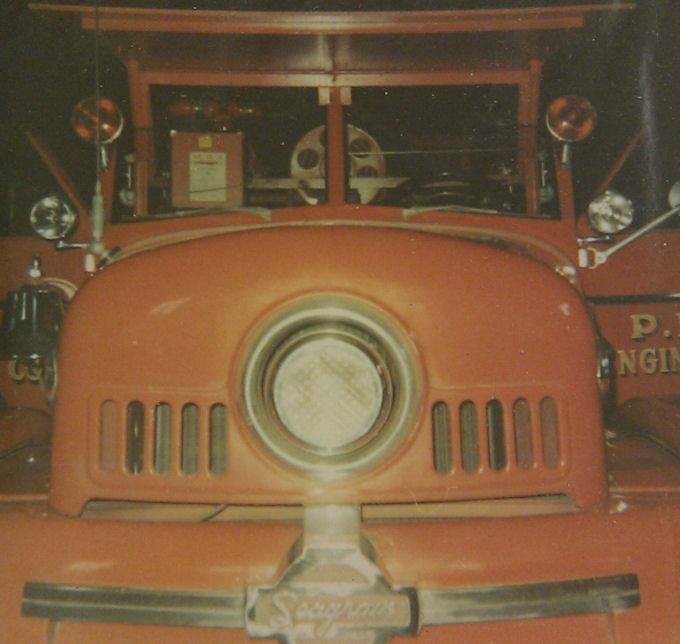 1953 Seagrave in background. 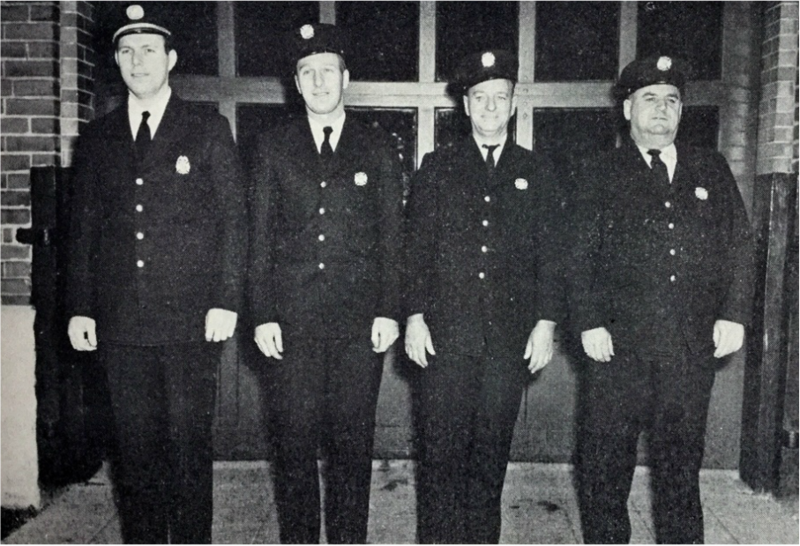 1967: Men of Engine 10 with 1953 Seagrave: In front L-R: Captain Harry Asher, Captain Harry Davatellis, John J. Breeze, Herbert J. Stride. 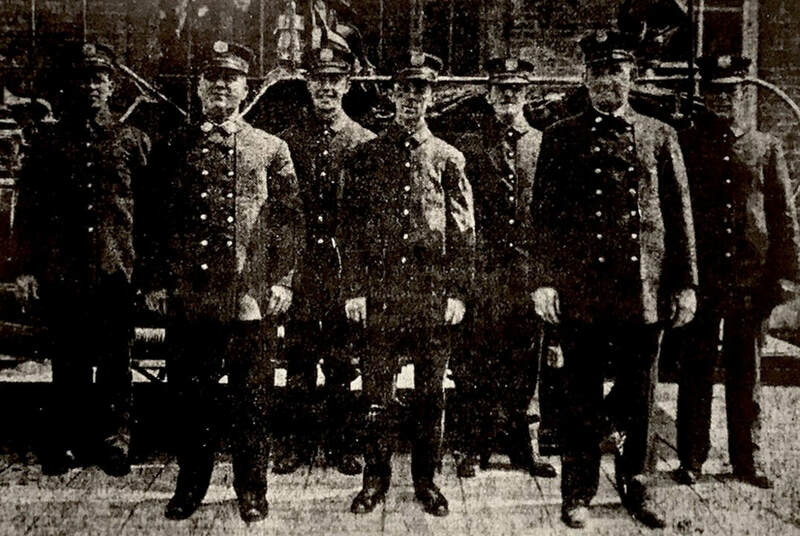 Middle row L-R: Edward Allen, Richard Warner, and Thomas E. Hughes. Up top Francis Bergen and Alfred A. Weiss. 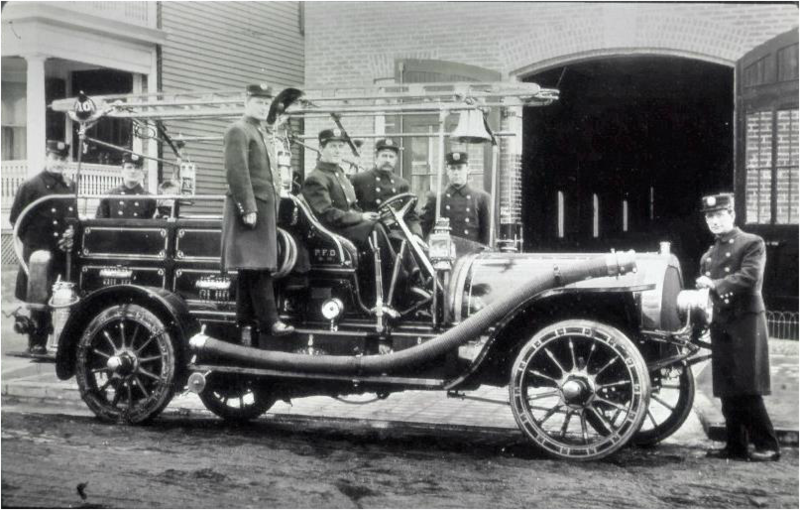 Note to the rear of the apparatus one can partially see the 1863 Jeffers Steam Fire Engine which was stored at 17th Avenue FH prior to its relocation at the Paterson Museum. 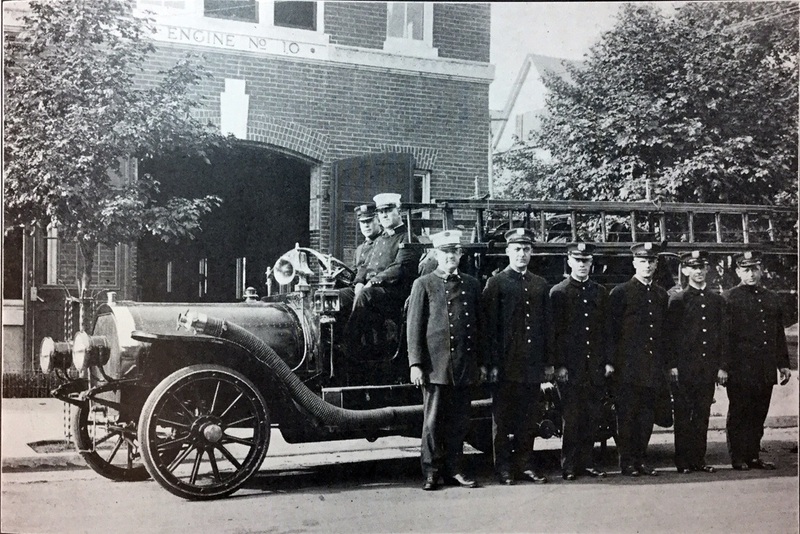 1967: Men of Engine 10 with 1953 Seagrave: ​​Front row L-R: Captain Walter F. McMahon, Captain Joseph R. Semas, George Maloney, Henry S. Kocian, Harold P. Tuohey Jr. Up top Jack Nargiso, Arthur Nardin, Hubert Donnellan. 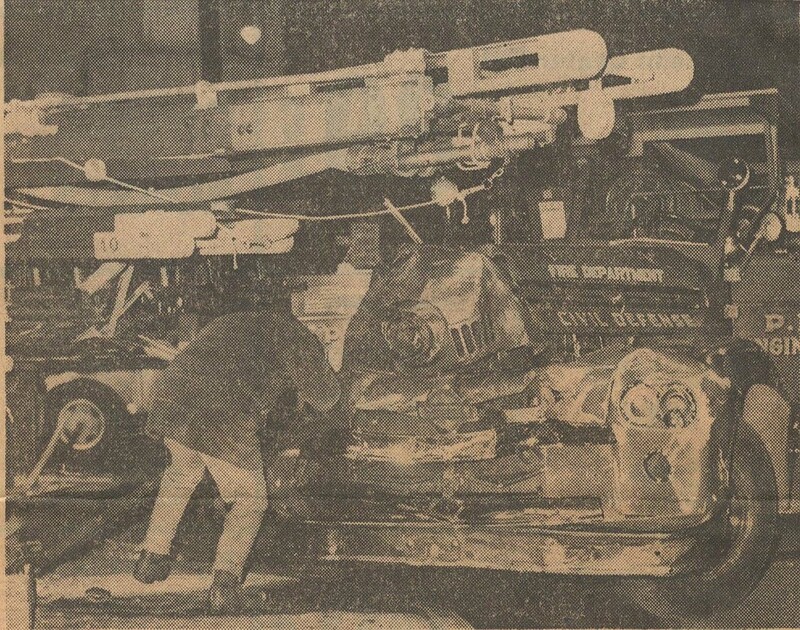 January 7 1969: Engine Company 10 and Truck 1 sustained serious damage in a collision at Park Avenue and Summer Street. 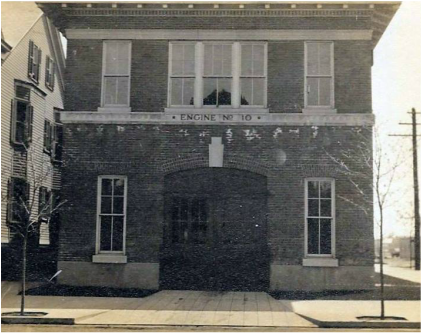 Engine 10 was responding west on Park Avenue to a two alarm fire at 178 Market Street while Truck 1 heading north on Summer Street was relocating to Headquarters after responding to a false alarm at Straight and Essex Streets. 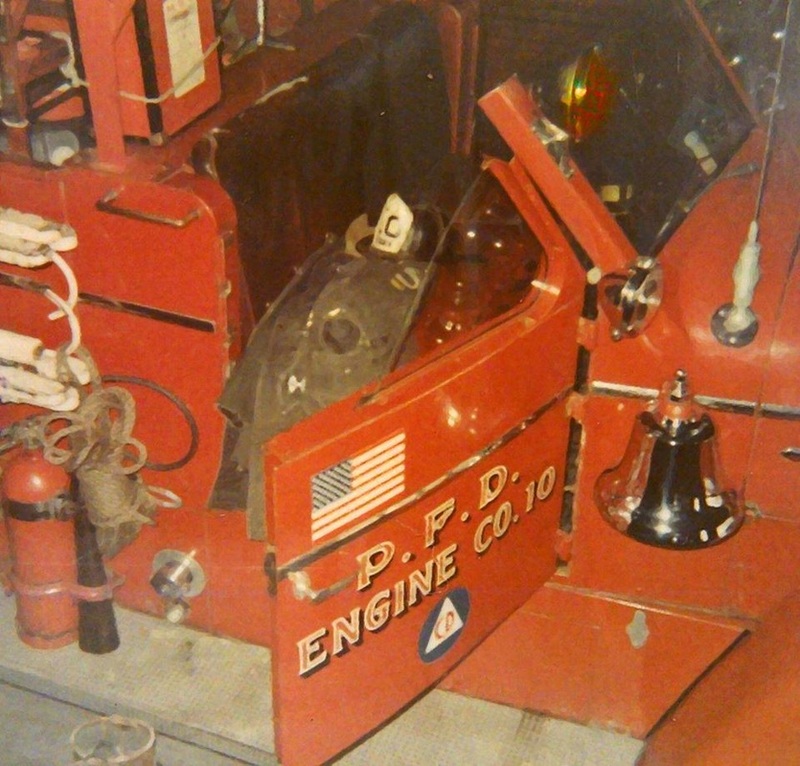 ​January 30, 1978: 1975 Hahn 1250 GPM pumper (Serial HCP528127621) painted yellow and formerly used by Engine Company 5. 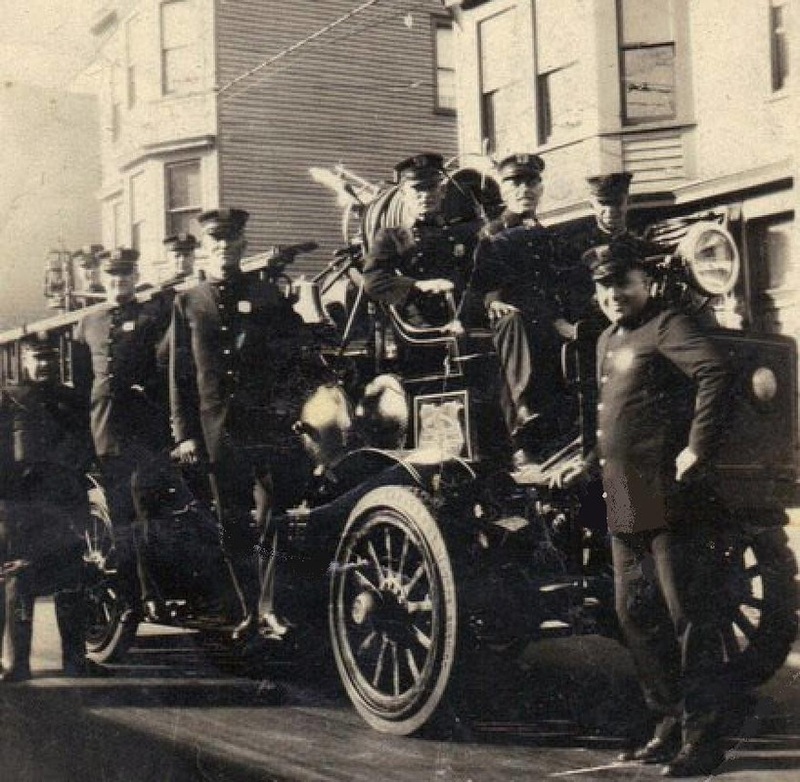 The dedication plaque on front of the cab was in memory of Assistant Chief Richard Walmsley. 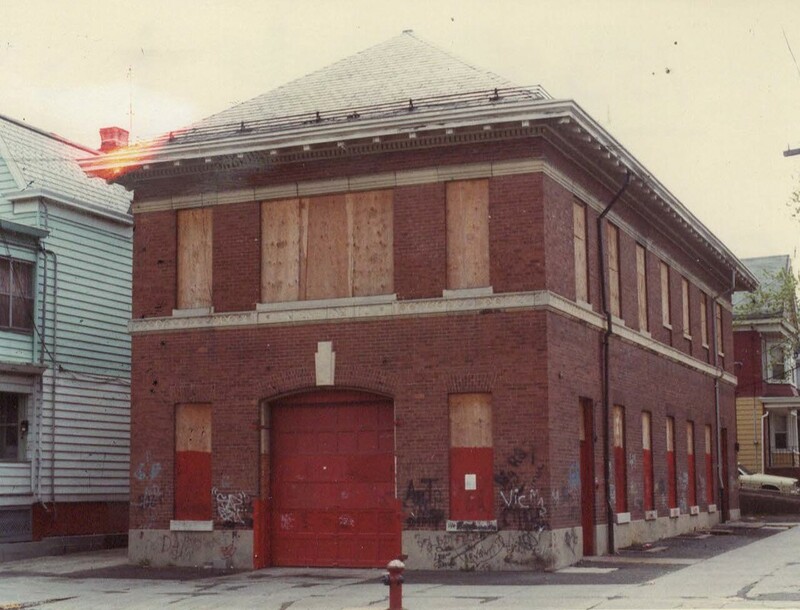 ​October 1979: The 17th Avenue Firehouse closed and Engine Company 10 relocated to the new Fire Headquarters at 850 Madison Avenue.